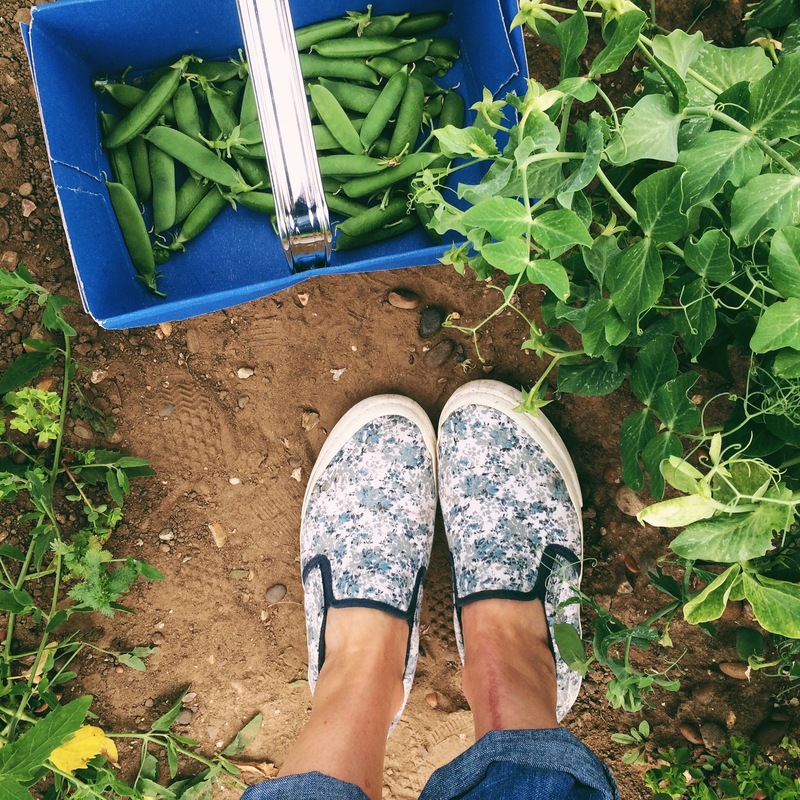 We picked a shed load of peas at the weekend and added a bag of broad beans to our haul at the farm shop. I thought I’d use them all up together tonight for dinner in a salad with some asparagus (of which I seem to hoard every time I go to the shops at the moment). 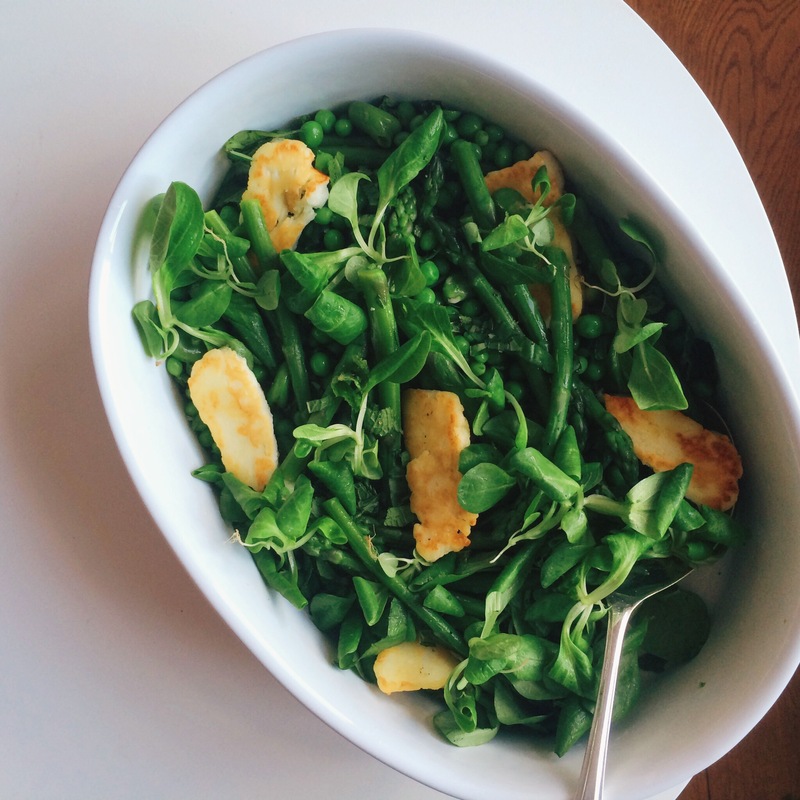 The lush green salad needed a little saltiness so I added some fried halloumi… EVERYTHING is better with halloumi. Blanch the podded peas and beans for around 3 minutes then plunge into cold water to cool. Meanwhile boil or steam your asparagus. Slip the broad beans from their tough skins and place into a bowl with the peas. Drain and cool the asparagus and add to the bowl. Drizzle over a little olive oil and sprinkle with salt and pepper then add the herbs. Mix in the lambs lettuce and give everything a mix to combine. Heat some olive oil in a frying pan and fry the halloumi until it turns golden brown. Remove and tear the slices roughly. You can wait for the cheese to cool completely before adding to the salad but I quite like to leave it slightly warm. Once added to the bowl squeeze the lemon over everything. Enjoy!